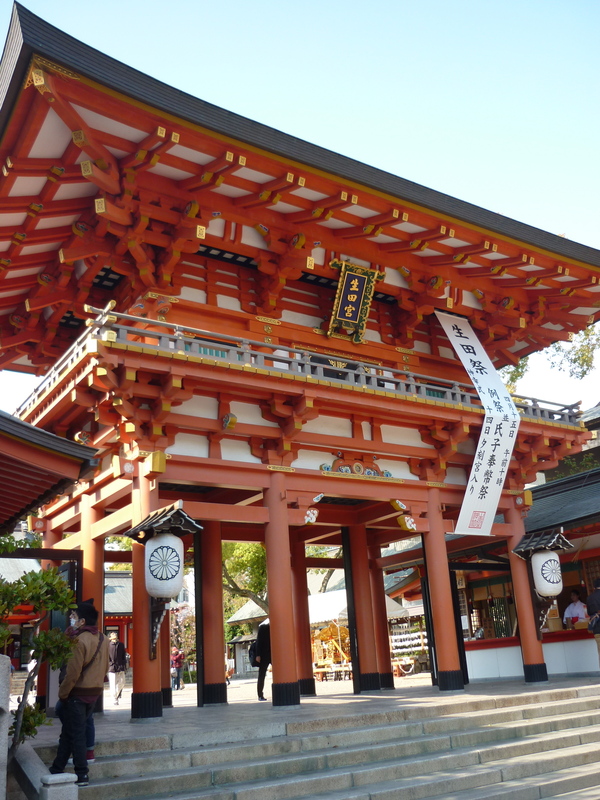 Japan – two words: simply wonderful. I fell in love with the people, the food and the culture. It was a short trip – just a week – but it was a good mix of sightseeing, shopping, and of course performing with The Glad Stones. It’s colder than it looks. View from the Starbucks – Shi-booya! One of the highlights of Tokyo was an amazing dinner the bunch of us had at an upscale Japanese restaurant. We sampled everything from sea urchin to tuna belly sushi. It was the first time I actually enjoyed sake (Japanese rice wine), it was warm and fuzzy and the cold made it taste heavenly. 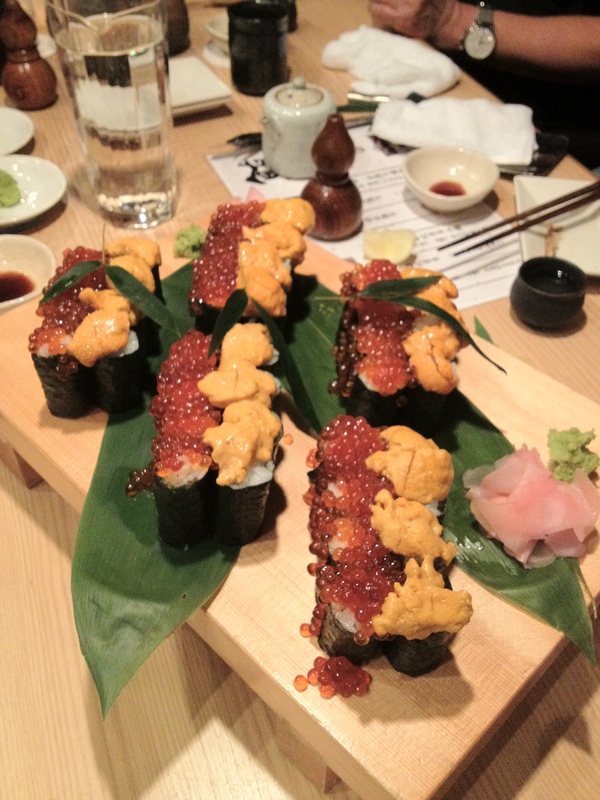 Sushi with a dual topping of Sea urchin – the yellowish stuff on the right – and salmon roe (the orange balls). 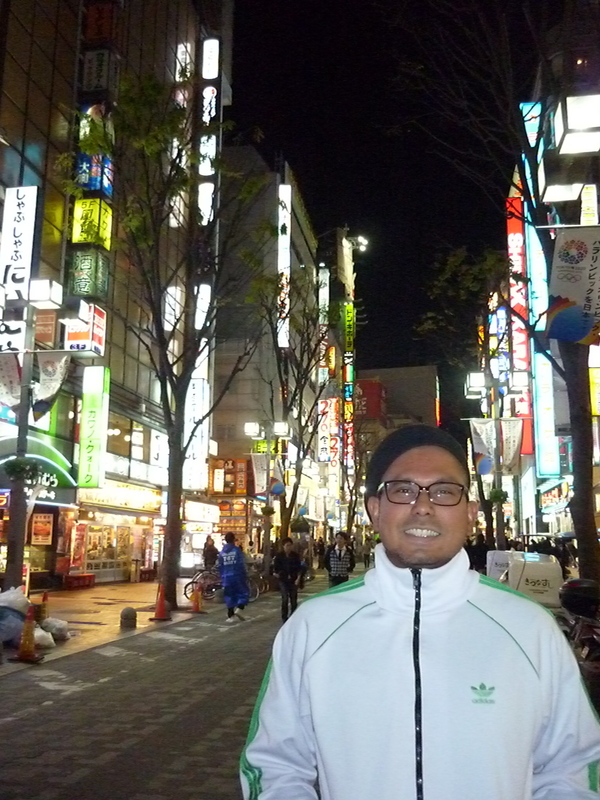 We travelled to Kobe via the Shinkansen (bullet train), a journey of about three hours. Shinkansen tickets are pricey (about 14,000 yen, or S$180, one way), but thanks to the Japan Rail Pass (available only for tourists), we had an unlimited number of rides on the high-speed train – and other trains run by the Japan Rail company – for 7 days, all for about S$360 per person! It was a sweet deal. In Kobe, our hotel of choice was the B Kobe. I was glad that we picked it, despite having to lug our suitcases and my guitar up god knows how many steps at the station. 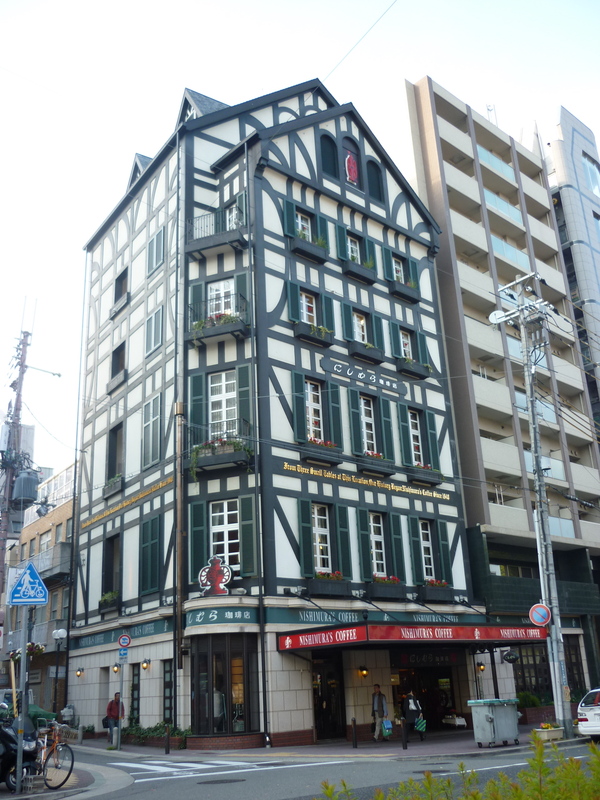 It turned out to be an extremely central location in the heart of Sannomiya. The room was bigger than the ones you usually get in Tokyo. 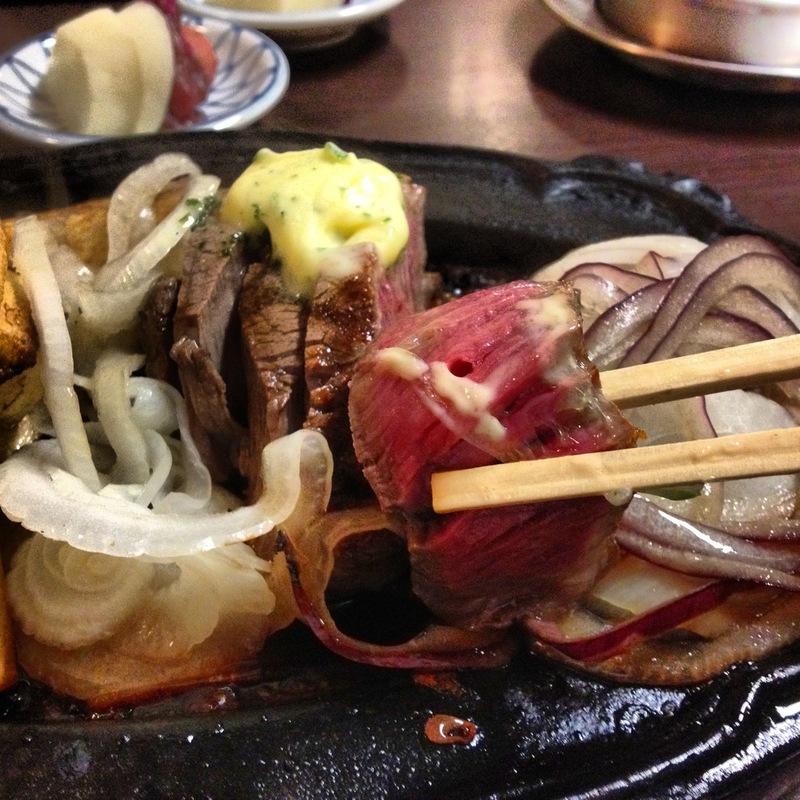 Kobe beef: Succulent and tender, and the meat seemed to melt in your mouth. Worth the price. The next day would be TGS’ first gig at a live music house called Varit. It’s a good-sized venue, with a large, spacious stage and two dressing rooms backstage. 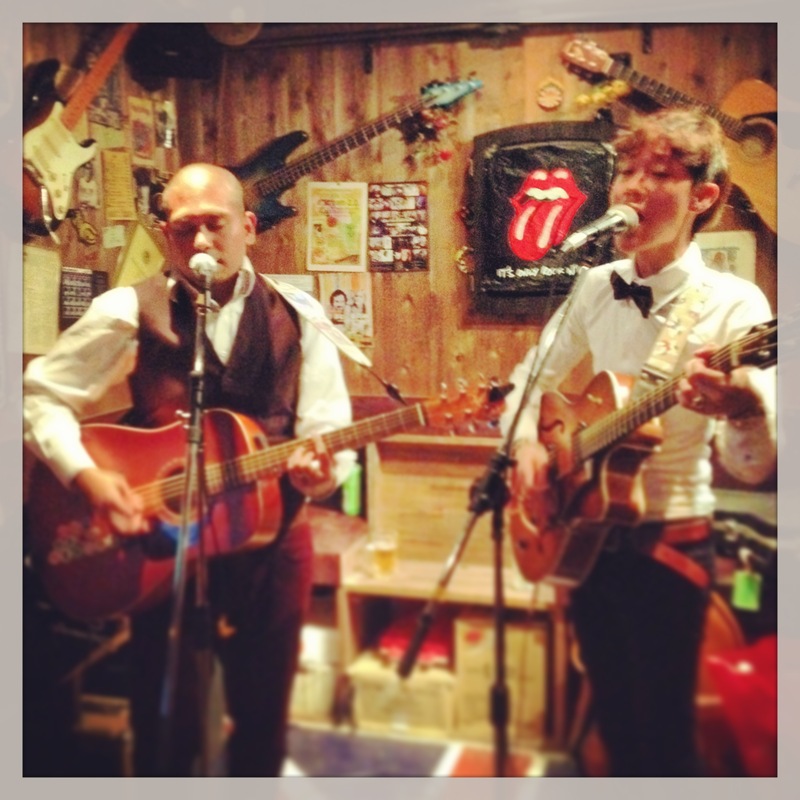 How live music houses usually work in Japan is that bands pay to perform. Yes, they pay the venue in order to have a slot. It’s a strange practice that I don’t entirely agree with, but that’s how it is there. What I gathered about Varit was that bands from Kobe have to pay a certain amount, but bands from out-of-town don’t. Generally, foreign acts are exempt from this. The somewhat-dynamic duo. Lights always add a touch of grandeur. Varit is well-run, and boasts professional gear and lighting. It was certainly a pleasure performing there. There were three acts that night, a solo singer-songwriter and a young funk band played first, and when it was our turn a modest crowd had gathered. You might wonder how it feels to sing to a non English-speaking audience, and I must say, apart from Jaye having to (with great effort) translate everything I said in between songs into Japanese, I noticed that people were grooving and getting into our music, proof that music does indeed transcend boundaries and languages. We hit Andy’s Imagine the following night. It’s a cosy bar owned by a nice British man named (you guessed it) Andy. He’s been running the place for nearly 13 years, imagine that! 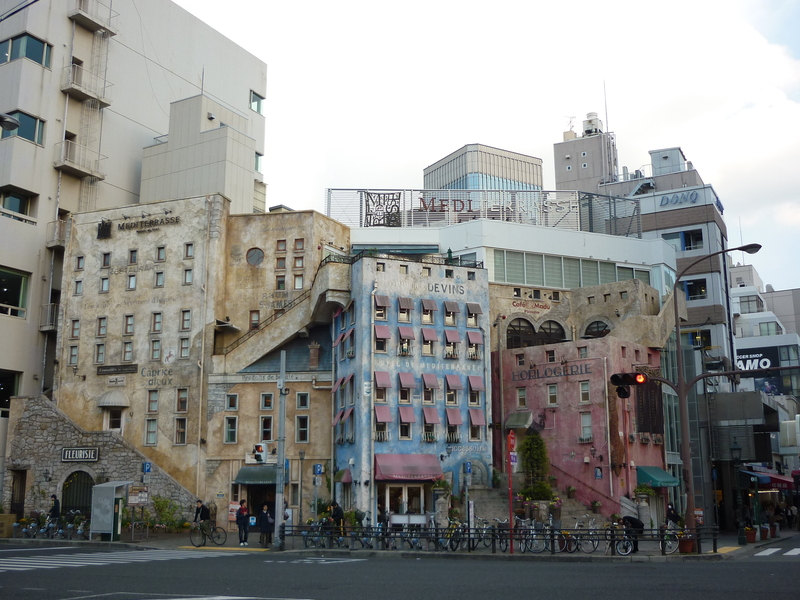 The bar is located in the Rokkomichi area of Kobe, a place with high-rise apartments that look just like the HDB flats of Singapore! Anyway, at Andy’s, everyone knows everyone, and it’s a great place for intimate performances. It’s got a corner that’s been carved out as a stage and we played two sets there. Andy himself got into the action by urging his customers to buy our album (he got one himself :)). After the gig we spent the rest of the evening mingling with the people. Sometime before leaving Kobe, Carol and I managed to see the last of the famed sakura (cherry blossom) at a shrine near our hotel. It was lovely. 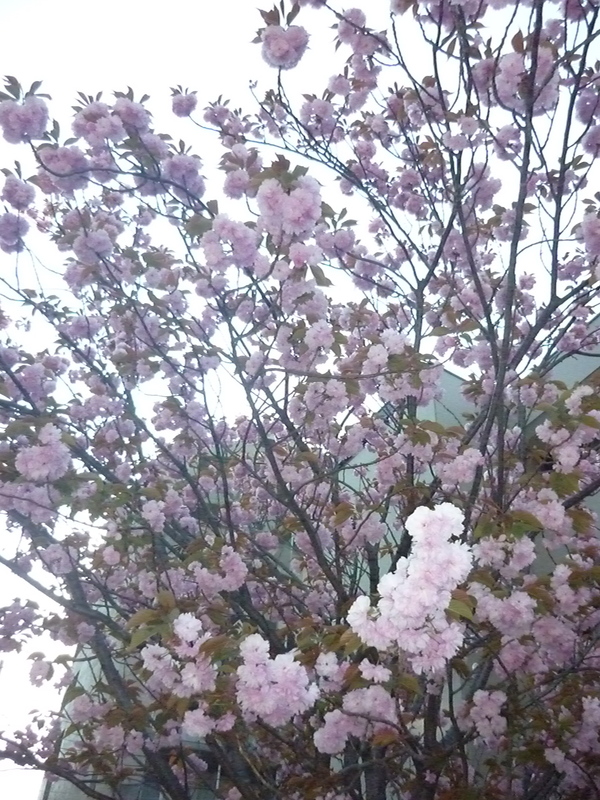 We were lucky because we arrived just after the end of the season but there were a few trees still in bloom. 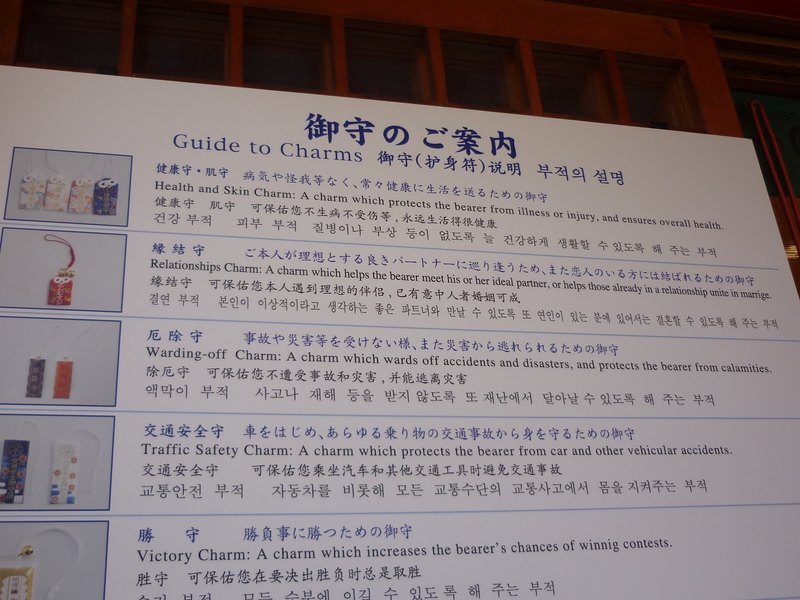 And we did the touristy thing by snapping pictures and buying some good luck charms from a souvenir store there. Osaka is a 40-minute train ride from Kobe. 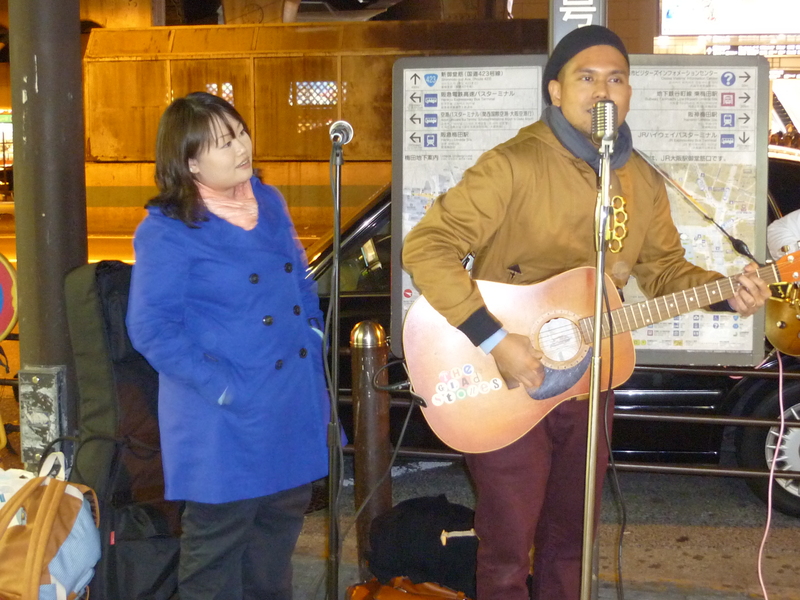 Our plan for the last day of our tour was to busk at the Osaka train station, which is about as crowded as Tokyo’s Shinjuku, and a very popular spot for “street music”, as it is known there. But before leaving for Osaka, I had to get a portable battery-powered amp for the performance. 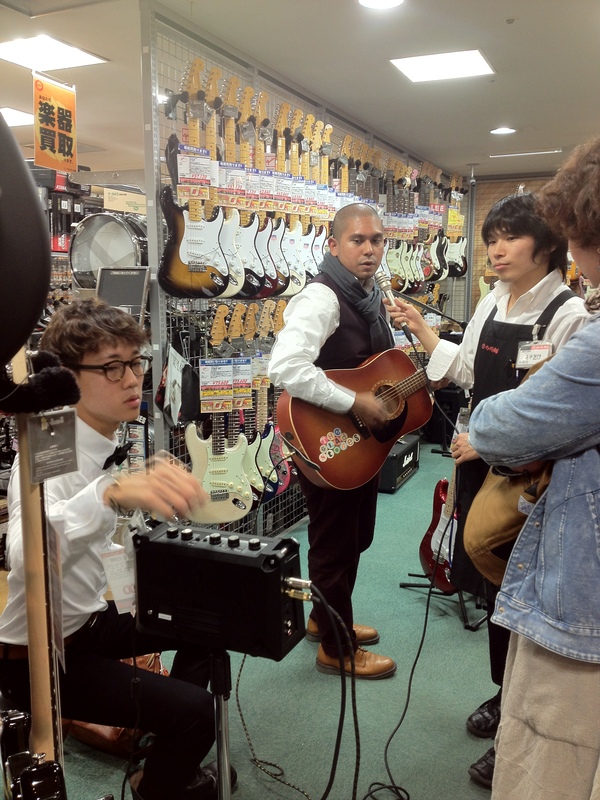 The good thing about Japan is that music stores are large and well-stocked. I found a decent Roland at the Ishibashi store in Kobe. That’s me trying out the guitar and mic functions. Cost: about S$200. Armed with gear, Carol and I boarded the train and arrived in Osaka in the afternoon. 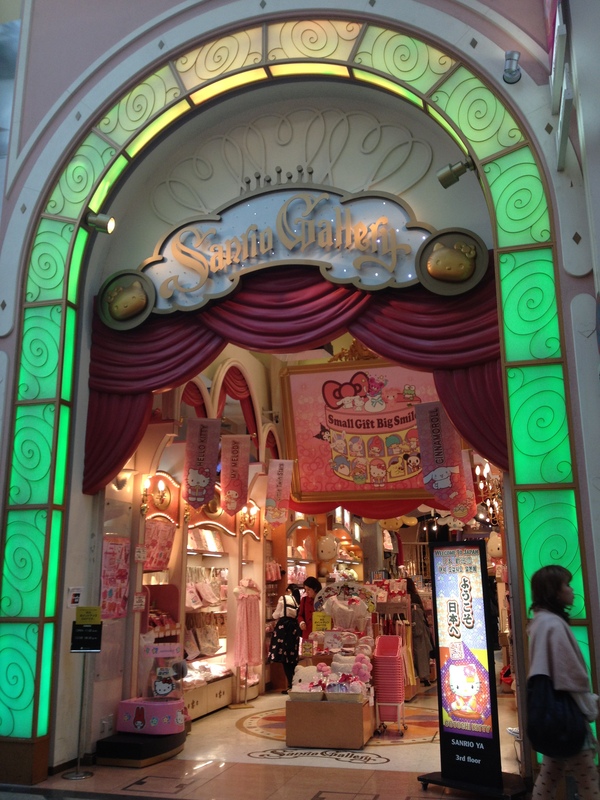 We spent some time walking around Shinsaibashi, a popular shopping street, and she went crazy at the Sanrio store. 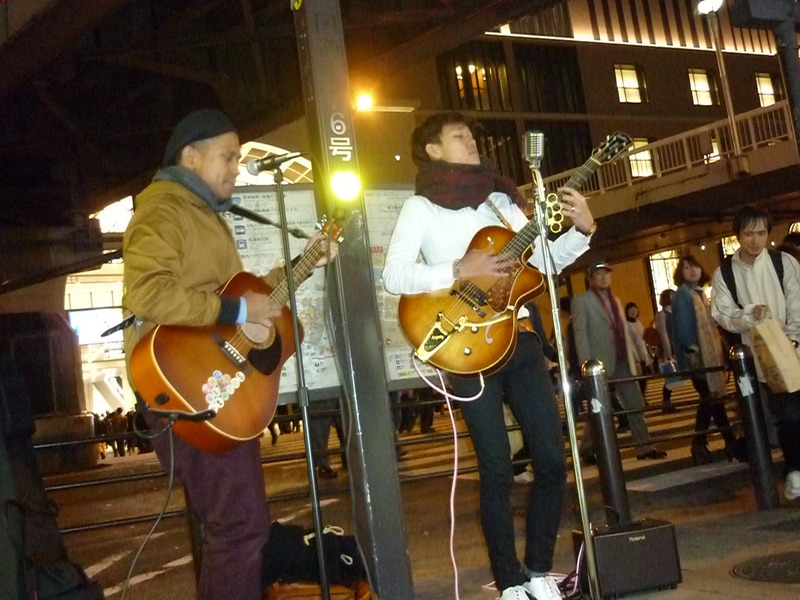 Busking night, and there were performers literally at every corner outside Osaka station. So we decided our first spot would be on a link bridge above the bustling traffic. It was freezing out there in the open, but we gave it our all. At the end of our set, Jaye’s friend Marina – who’s a trained opera singer – jammed with us. The moment when acoustic folk music met classical opera, was awesome. 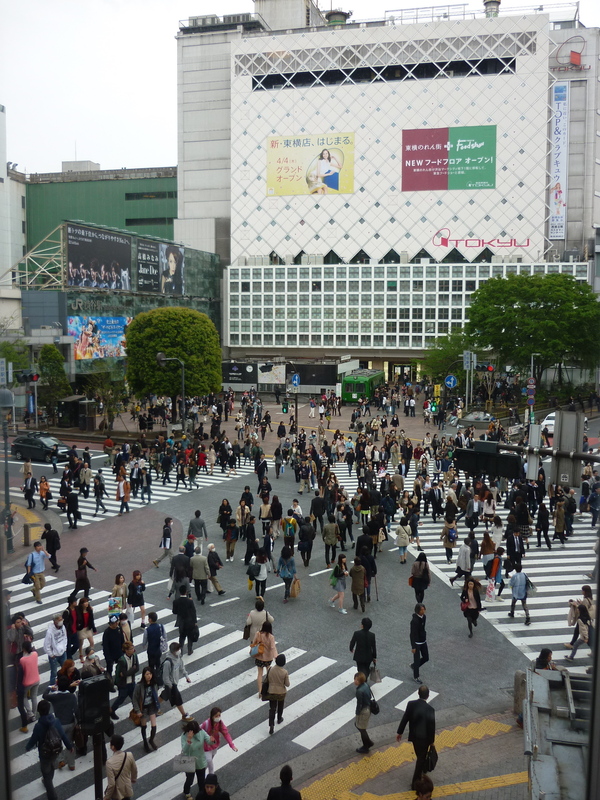 The second spot we picked was at a large pedestrian crossing at one of the station entrances. It was a strategic location because we could get the attention of the crowds waiting to cross the street. The night ended with both Jaye and I playing our solo creations. I did a few songs with Carol harmonising with me. 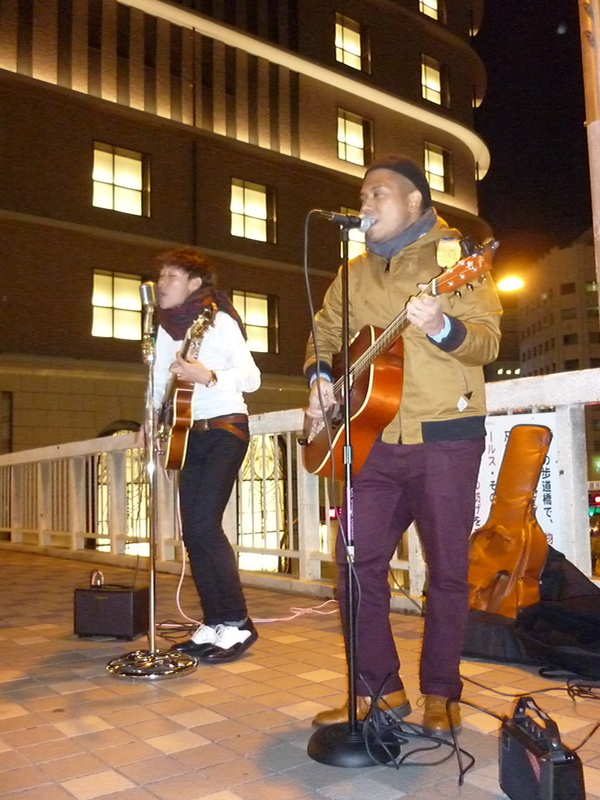 To all the good folks who bought our CD as we busked on the streets of Osaka, a big thank you! To the fellow-musician who came up to us as we played and got our CD, keep the tunes alive mate. 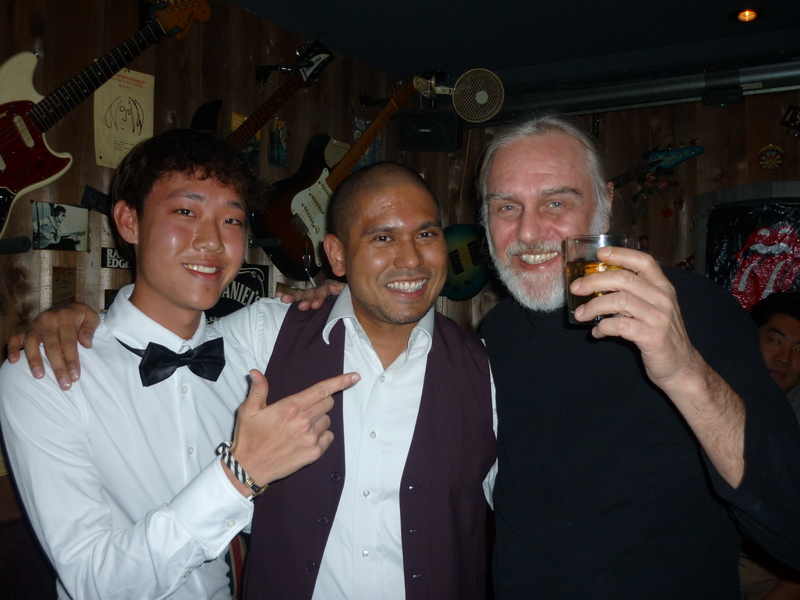 It was a fantastic feeling connecting with an audience from a different country, and seeing them enjoying our music. I respect musicians in Japan. They take their art very seriously – even on the streets. They give their all, as if they were holding a performance for a 50,000 strong crowd. 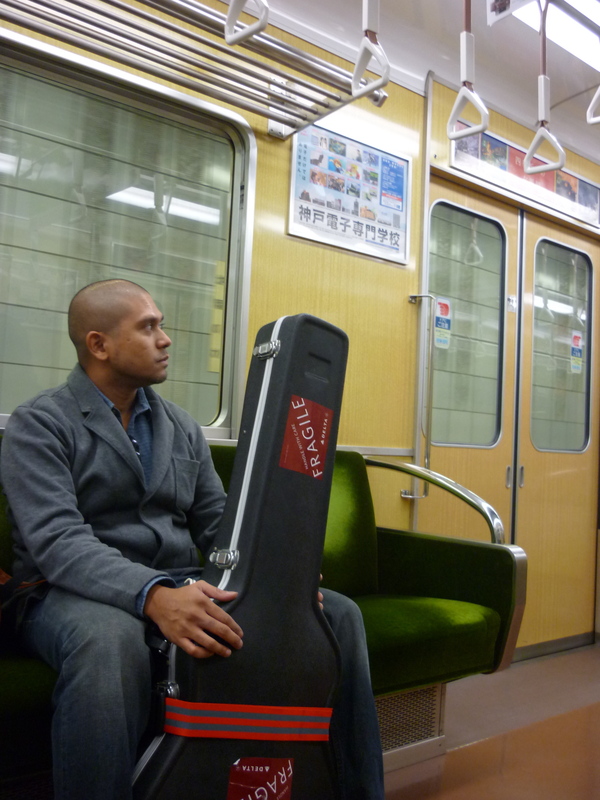 We saw so many bands, all dressed up and with their gear, taking a long train ride somewhere just to perform. Watching them inspired me to work even harder. Thank you, Japan. I have a feeling I’ll see you soon. What’s next for TGS? We’ll reunite in June for some shows in Singapore, so stay tuned! 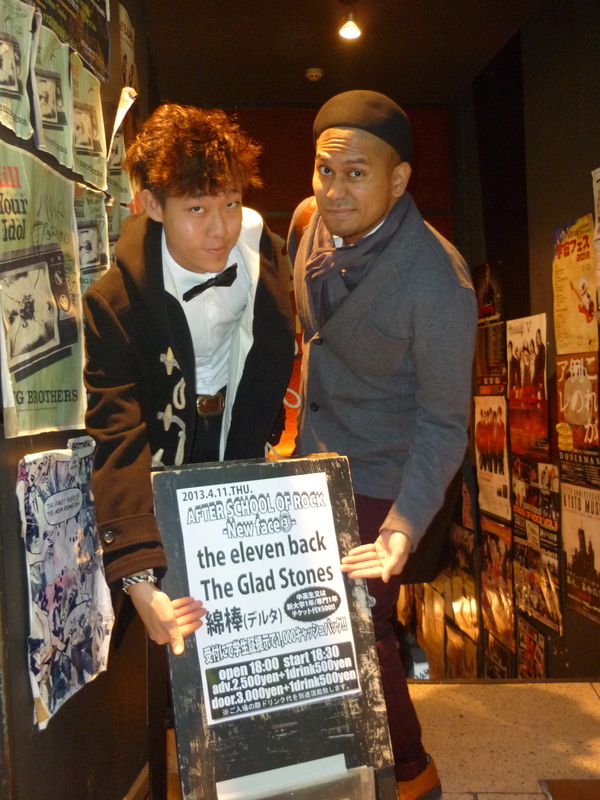 The Glad Stones in Japan! Gonna attempt to update this blog while I’m there, or I’ll just post random stuff on TGS’ Facebook page. Oh, and if you missed our recent Starbucks Singapore tour, you can catch up on on what happened on our Facebook page as well. 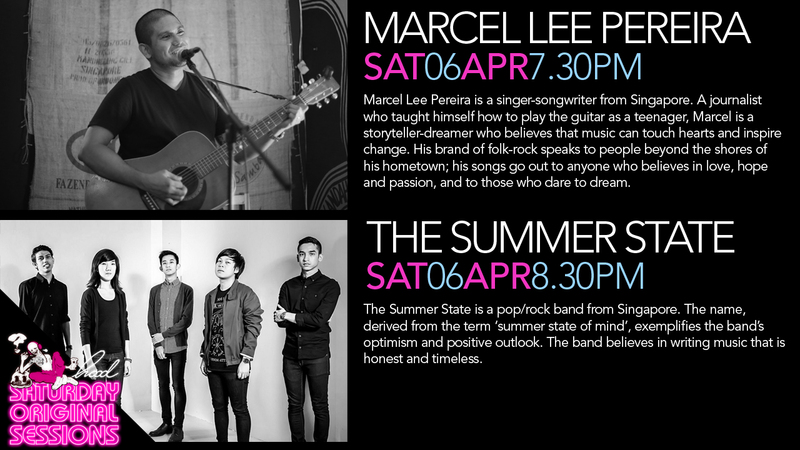 Taking the stage after my set will be a band called The Summer State. Can’t wait to check them out! Show starts at 7.30pm. Hope to see you there! The Glad Stones’ album “Unfold Your Heart” was launched on 25 April 2012. Here’s the link to our website and micro blog. You can listen to all our songs here too. Together with the album, we released a music video for our song “Before The Lights Go Out” on 1 May. It was shot in the space of one immensely fun and tiring day. Check it out below! Oh, and we had a t-shirt made too. Nice? 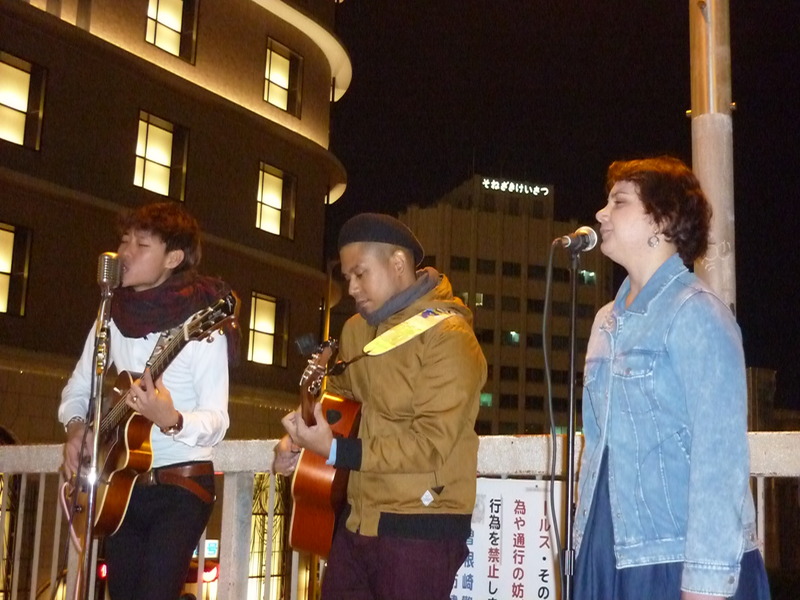 At long last, we started busking on the streets. It was probably the best thing we did as a duo, and we certainly met some interesting people at the same time.Here’s a shot of us at Haji Lane, one of the hippest spots in Singapore these days. Our friend Jason Cruz (the tall guy in shades) accompanied us on the cajon. Oh, and the guy in blue with the tambourine just happened to be walking by and wanted a picture. Here’s another one of us from the same day. Jaye has left for studies in Japan – He’s having a blast at the Koyo Conservatory. So yes, TGS sadly is on a hiatus (for now), but will reunite sometime in April 2013. We’ll definitely be doing some shows then so watch this space (promise!). As for me, I’m working on my own material, and hope to launch a solo album next year. Later today, I’ll be performing a solo gig at Viking Coffee, as part of the Diarist Sessions. Do drop by if you can! What are The Glad Stones up to? Recording an album in a month! It all started with a crazy idea – Given exactly four weeks to complete a project, what would you choose to accomplish? It was part of a life development course that Jaye attended last month. and as an act of courage, he must take action and complete a project successfully within the given time-frame. So I said to him, let’s think big and do something nearly impossible, something that we’ve been talking about for so long but haven’t even come close to finishing… What if we recorded an entire album in a four weeks? And that was how it started. So far, we have picked 8 songs for the album, found a producer who’s going to help us arrange, mix and master the tracks in two weeks. One of the 8 songs is going to be a new one, which we are halfway through writing. We’ve got t-shirts designed and they are being made as we speak. We’re also designing the album artwork, and did I mention we’re going to shoot an MTV for our new song? *Takes a deep breath* Wow, that was a mouthful. And when is this all coming together? Oh, and we’ve emailed everyone about it too. After months of hard work, we have finally released our first single – Catapult! Everything was recorded at home, with a little help from friends. Mixing and mastering courtesy of BBS. Writing a song about “green” issues is challenging. I say that because it’s so difficult to be fresh and original when your message is usually the same as everyone else’s. I mean, how many times can people listen to a song about the Earth dying without tuning out, right? You really need to stand out from the crowd. So, when Singapore’s National Environment Agency launched the second season of its Eco Music Challenge, a songwriting competition for aspiring composers to express their love for Mother Earth – and spread the Green message far and wide – Jaye and I took some time to decide on whether to take part or not. After all, both of us sent in separate entries for the first season last year, and neither of us won, so we wondered if we should do it all over again. I must add, however, that the contest is quite a novel way to get people engaged with such issues, through the powerful medium of music. As a songwriter myself, I appreciate the fact that my government is including original music as part of its environmental campaign. 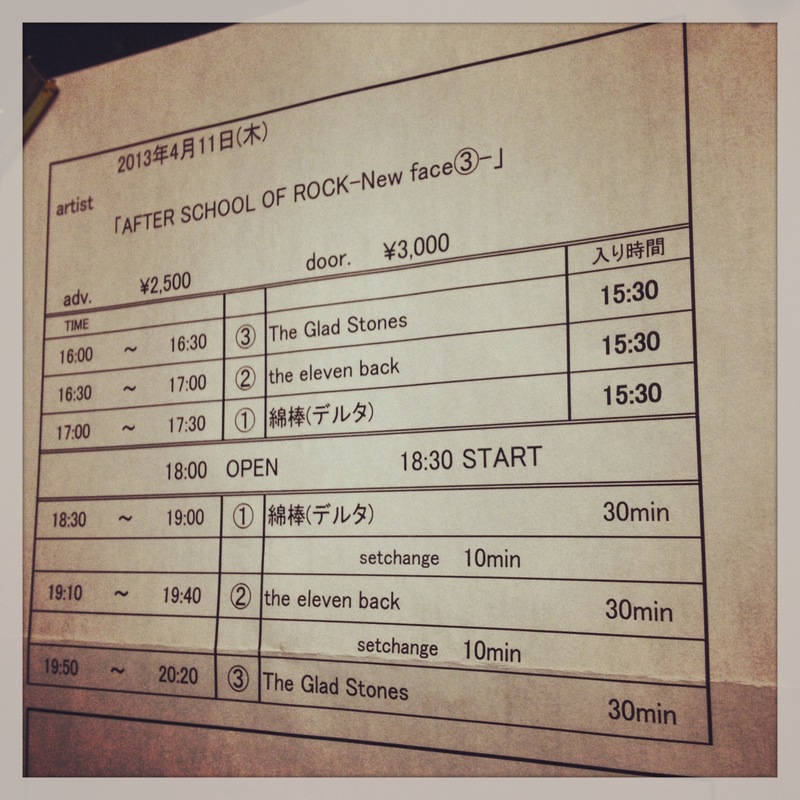 Finally, we decided to take part again, as a band this time. When I first heard it, I was moved because it spoke to me as a person. It was insistent without being preachy; it did not go into the details about what I already knew was going on in this world; it did not have the word “green” in it at all. Instead, it appealed to a deeper sense of responsibility, a personal responsibility to change. That’s something I thought was fresh and unique. Taking a leaf out of Melissa Etheridge’s masterpiece, we deliberately chose not to write an overtly environmental song. Instead we wrote a love song, yes a love song – from the perspective of Mother Earth herself. “Hangin’ By A Thread” is all about love’s ingratitude. A woman has given everything to the one she loves, but all she has gotten is hurt. She is empty. Sound familiar? Yes, it’s a painful experience many of us can relate to. And that became the premise of our song: Mother Earth pleading to us. We are the ones she loves and she has nothing left for us to take from her. We’ve taken it all, and more. She’s hanging by a thread, and yet she’s holding out, hoping, knowing that there’s still time if we change our ways – now. In case you’re wondering how we did the outdoor shoot, both of us wore wireless clip-on microphones, which fed both our vocals and guitars directly to a receiver connected to Jaye’s MacBook. Everything was recorded in Logic Pro. And as for the video, we propped a digital camera on a tripod and just let it roll. After we were done, we went to a nearby cafe called “Hatched“, opened by a friend of mine, and sat there for a couple of hours mixing the tracks and editing the video. There, that’s about it. It took us an entire afternoon and we were really pleased with the result! Oh, and by the way, we performed the song in a single take with a small impromptu audience of kids and their parents who happened to be walking by. If you look closely, a little girl comes into the frame somewhere after the halfway mark. Isn’t that adorable? I tried to write from the perspective of a child telling us that Earth is the only place he has, so please take care of it. I admit, however, that I was guilty of going into the above-mentioned descriptions of the planet dying, etc. Plus, I did a slightly-cheesy picture slide show to go with the lyrics, and put it on YouTube. Well, it didn’t get into the finals, but the video has over 10,000 views now! 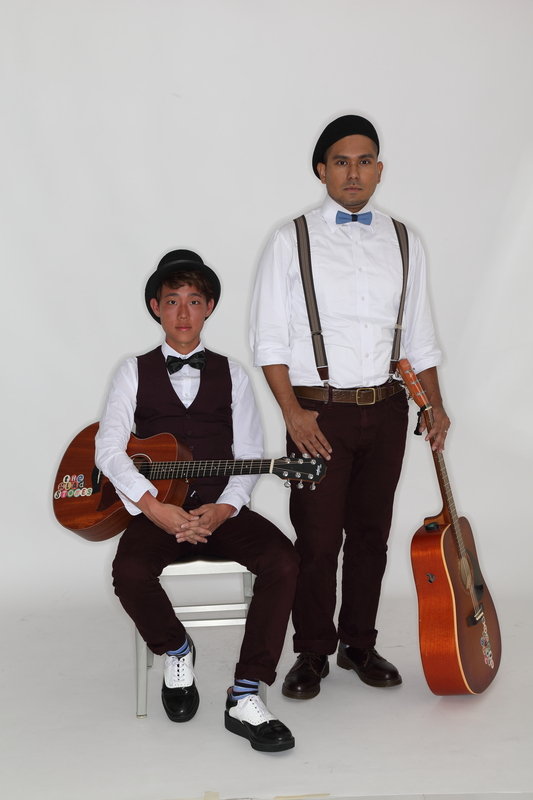 So please, please, please visit the Eco Music Challenge 2011 submissions page and click “like” on our song, “Hangin’ By A Thread”! Enter your email address and receive notifications of my new posts.